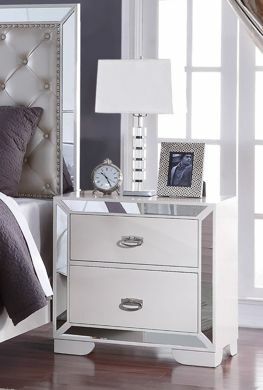 Dripping in luxury, This Bedroom Collection has it at all. 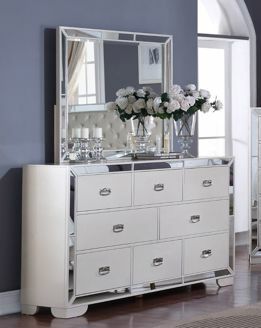 Drawer fronts, mirrored accents, and polished platinum jeweled hardware, are just the beginning. 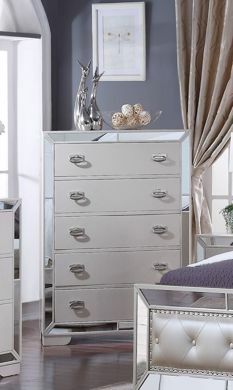 The beautiful hand tufted padded headboard., side mounted ball bearing glides, dust proofed, dust lined and felt lined top drawers are modern touches that teach us that really prefer Cosmos Home's quality!